A.B. 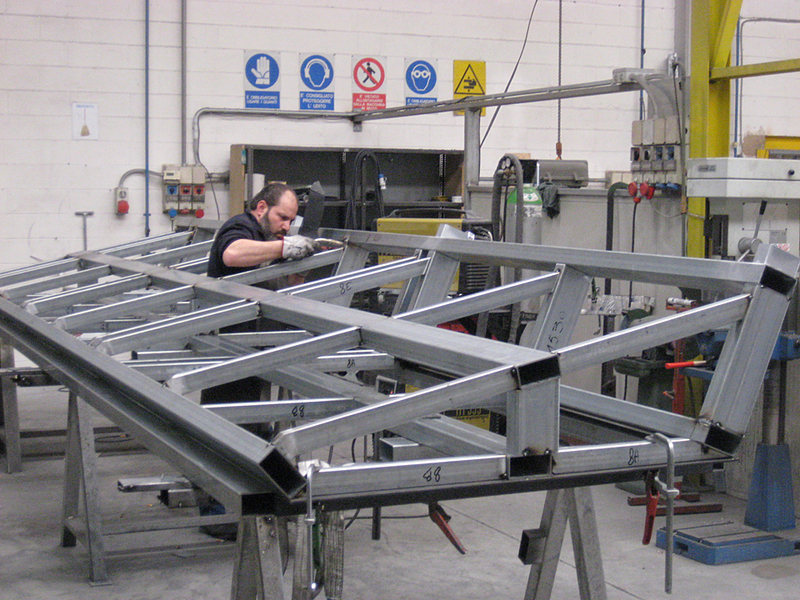 System has a specialised workshop in its factory where it builds and assembles its own products. 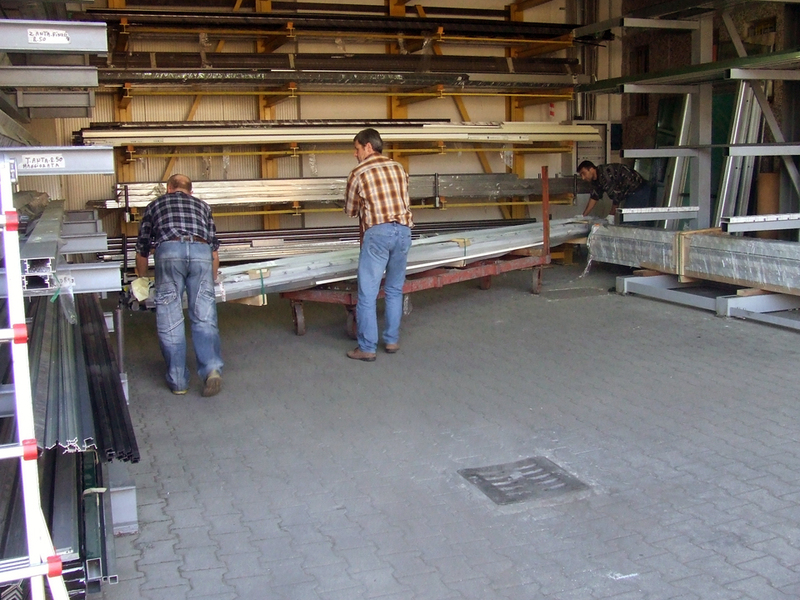 Whether it is the manufacture of aluminium window and door frames, sheet metal walls, composite panels or machining of stainless steel, it uses materials of the highest quality and ensures a reduction in prices by manufacturing in-house all window and door frames, doors and curtain wall modules to be installed. 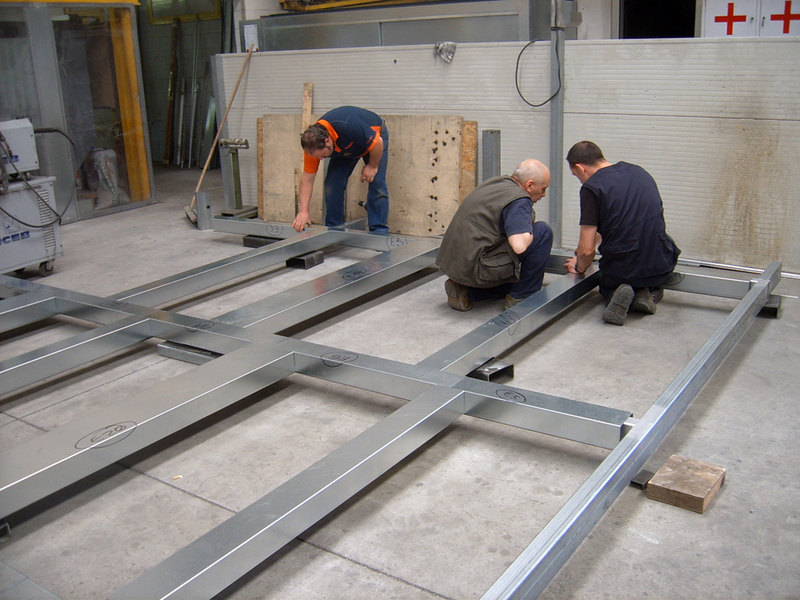 The constant exchange of information between the technical office and the workshop also allows us to offer the customer the best solutions from a technical/design point of view and a choice of the best materials to be used. 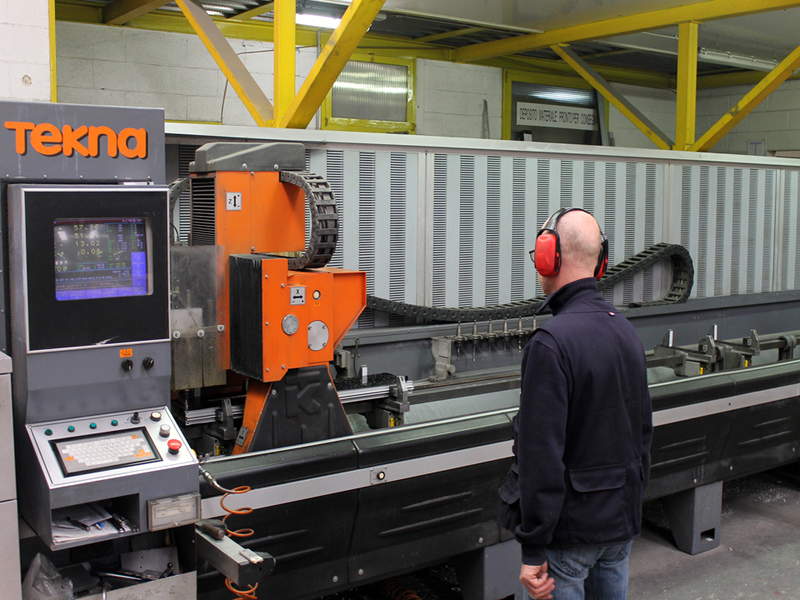 On the left is the Tekna ZTK 429V 3-axis vertical Machining Centre with superior machining capability. 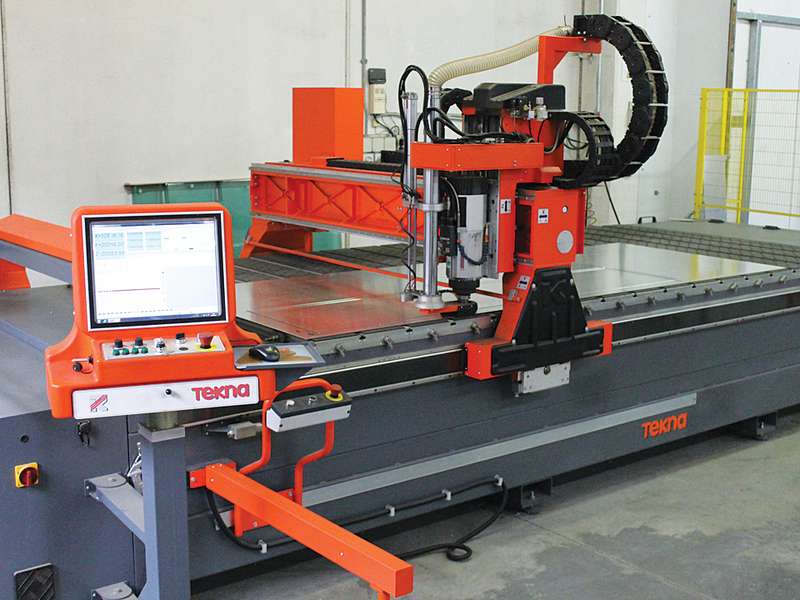 It features a clamping system made up of vacuum tables that allow panels and plates to be held by vacuum; this solution is useful to obtain an extremely efficient machining of thin components that could hardly be fixed by means of a traditional clamping system. The TK 429V is equipped with a series of valves that turn on/off different areas of the machining table, thus concentrating the suction on one area and optimising the clamping of components with limited dimensions. 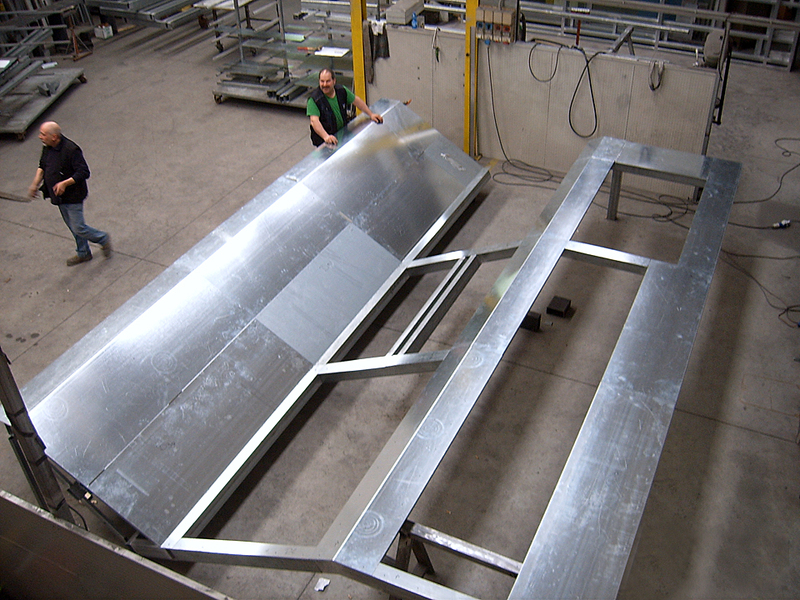 It is designed for drilling and interpolated milling operations on composite panels, panels and plates in aluminium, stainless steel, titanium and on aluminium profiles.